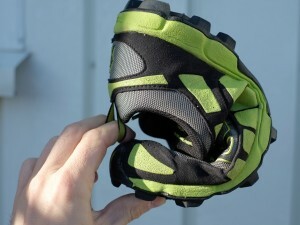 The Inov-8 OROC 280 is a shoe I never wanted to buy. After two winter running seasons with way too many sidewalks, roads, and even trails covered in snow-turned-slush-turned-solid-ice I was fed up with running on the tread mill. What I needed for the coming winter was a shoe with enough traction to get me through ice and snow at a decent pace. At the same time I needed a solution which would work both on trails and roads, and also when there was no winter-wonderland around: where I live in Sweden even in deepest winter there is no guarantee of ice and snow everywhere. These requirements pretty quickly eliminated solutions like Microspikes, Yaktrax, or simple screws. Icebug shoes were a possibility, and seemed like an obvious choice since the Icebug headquarters are about 200m away from where I work. Their running shoes are characterized by 15 or more carbide studs mounted to the sole in a way that they partly retreat while running over hard surfaces. On paper that sounded like the ideal solution, but in reality my rather narrow and low-volume midfoot was not compatible with Icebug’s high-volume upper shoes. Thus the alternatives became interesting again. Shoes with metal or carbide studs are actually offered by a couple of companies (e.g. Asics, Inov-8, Haglöfs, Salomon, VJ) and for once living in Sweden was actually an advantage when buying running shoes. Orienteering (think off-trail running in the forest while doing your own map-based navigation) is quite popular here and studded trail-shoes come in quite handy while running over wet roots and trees, so there was actually a local running store where I could test some of the alternatives. At the end of the day I left the store with a pair of Inov-8 OROC 280. For those of you not familiar with Inov-8’s OROC line, it consists of the 9mm drop OROC 340 and the 6mm drop 280 which ended up on my feet. Both models have a quite aggressive tread pattern. Six of the lugs in the forefoot and three in the rearfoot have an additional carbide stud which is attached in a partly flexible/countersink way so that they don’t wear too fast on the road. 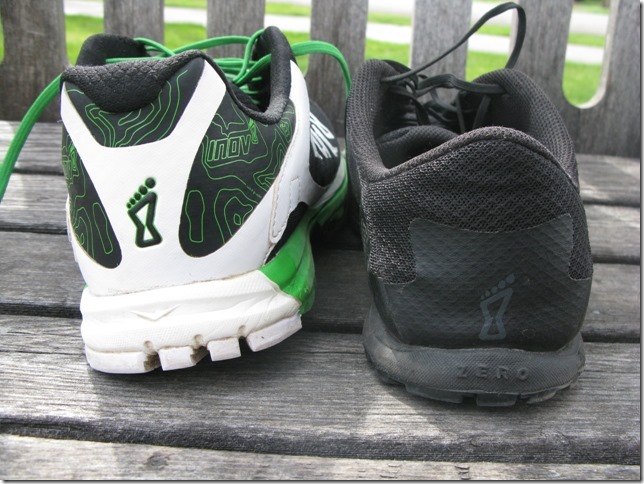 As with all Inov-8 shoes the number indicates the weight of the shoe, i.e. in this case 280g (9.9 ounces) for a size 42 (US 9). 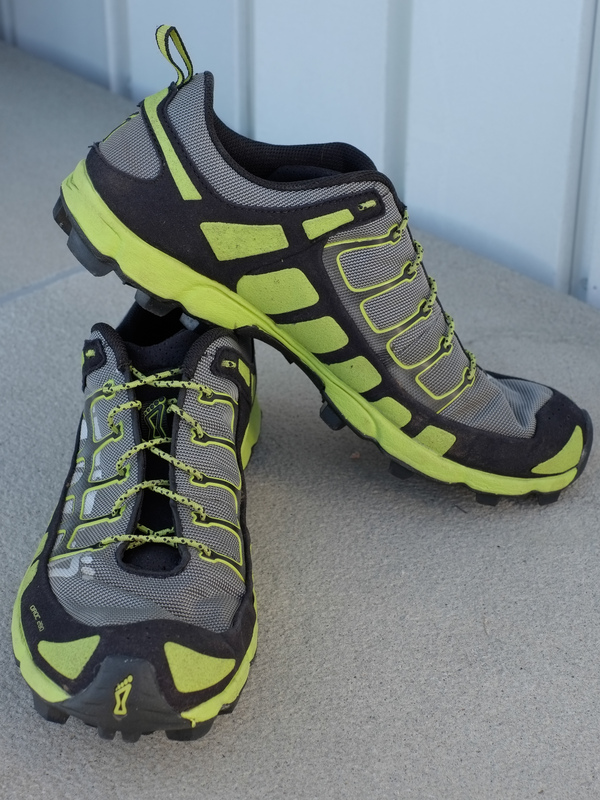 Being my first pair of Inov-8s, the OROCs have been a pleasant surprise for me. They have many typical characteristics of a more minimal shoes without sacrificing protection or durability. They are more flexible than the New Balance MT110 or the Nike Terra Kiger without sacrificing protection. Inov-8’s flavor of a rock plate is called Protec-Shank; it also acts as protection against the impacts of the carbide studs. The upper consists of a pretty lightweight, yet dense and water repelling mesh with welded overlays around the midfoot. For greater stability and durability sewn overlays are used for the final eyelets, around the heel, and as randing over the area where the upper connects to the midsole. 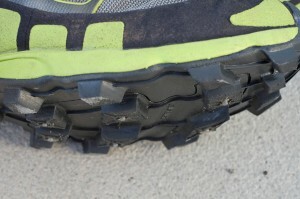 A toe bumper adds yet another level of protection to the front of the shoe. Comfort-wise the shoe is a sweet surprise. The upper is amazingly comfortable with a nicely padded tongue and heel, a relatively flexible heel counter and a nicely snug but in no way constraining fit through the midfoot. However, the real surprise is how well everything comes together when you finally start to run in the shoe. The combination of the metal studs, deep lugs, the rockplate and a comparably thin midsole might indicate a lack of ground feel and a somewhat harsh ride but I have not found this to be true. Ground feel and flexibility are actually quite good and the cushioning is more than sufficient for typical trails but obviously not of the “cushy” type (think somewhere in-between MT110 and Pearl Izumi Trail N1). Surprisingly, I have had no real issues when running stretches of road in the shoes, though for me the cushioning is too firm to run more than a few km of road in them. Running on hard ground I never had any issues with being disturbed by the lugs and/or the studs (apart from the characteristic sound of the studs hitting the ground). Traction-wise there is no disadvantage when running on hard surfaces or even wet rocks as the studs can retreat somewhat into the lugs when the contact pressure gets too high. You might have noticed that I have not yet covered their usefulness as winter running shoes. There is a simple reason for this: while North America was hit by cold, ice and snow, most Europeans had a very moderate, almost too warm winter without much snow. Over the course of the whole winter I have only been able to run roughly 30km in ice and snow, all of it in the OROCs. On these few runs the shoes have mostly performed well. The water repelling coating on the upper works well against snow, especially when paired with a gaiter. 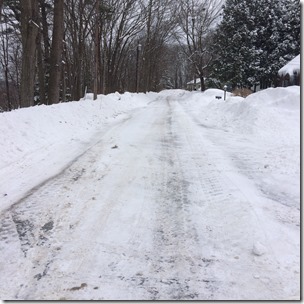 Traction is exceptional on packed or loose snow and rough ice patches, but only decent on glaced ice (where more studs would be needed). The deep lugs shed snow (or mud) very well. 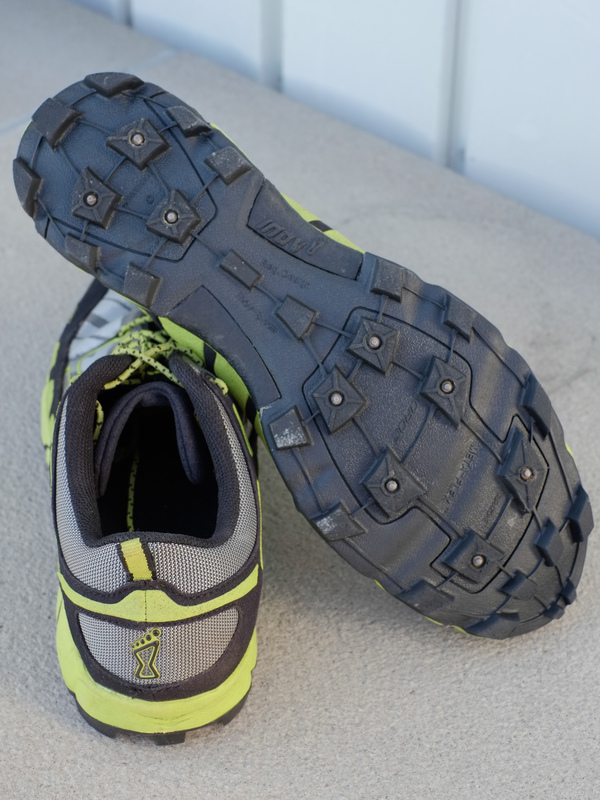 Under less wintery conditions, the studs especially make a difference on wet roots and wood which usually are super slippery surfaces for traditional trail shoes. With the OROCs you can tackle these obstacles without having to slow down the tiniest bit. After so much praise I also have to mention one big issue I have with the shoe: the last. 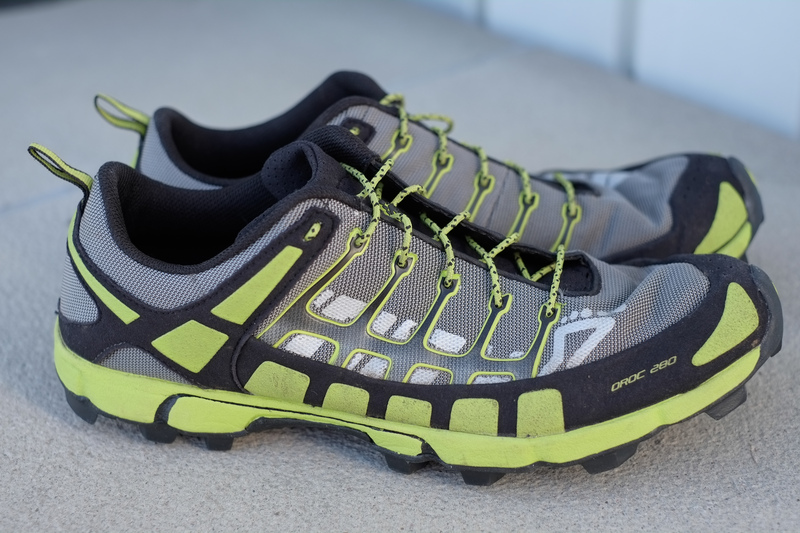 The OROC is based on what Inov-8 calls the Precision Fit which “ensures minimal internal movement […] (and is) ideal for racing on any terrain”. From the heel through the midfoot the fit is perfect for my feet, snug yet comfortable. The problem is the narrow toebox. Maybe not road racing flat narrow but kind of close. 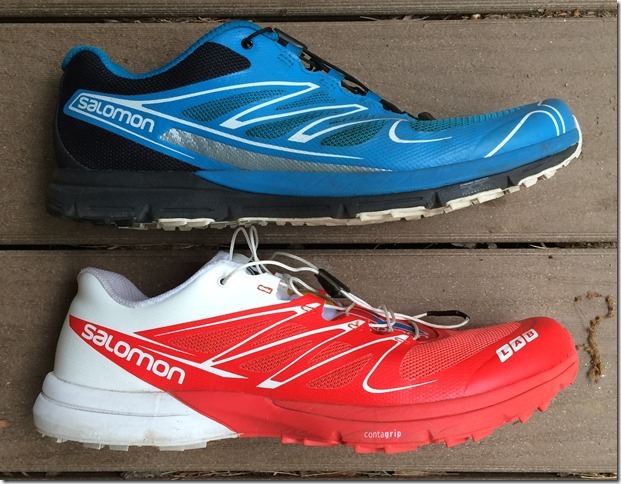 While I can usually tolerate a narrower toe box on a road shoe as foot motion is typically less drastic and sudden, a lack of toe wiggle space becomes a real issue with a trail shoe. I am also inclined to to say that the shoe drains slightly worse than many other trail shoes. Obviously that is a consequence of the durable, coated upper and its randing and honestly I don’t know what Inov-8 could do about it without sacrifices in durability or foot protection. For winter running the shoes would also benefit from some more carbide studs, especially close to edges of the sole. In a nutshell I would say that I am very happy with my Inov-8 OROC 280. While I have not really had the opportunity to use them in the way I had envisioned (namely for winter running), I have found them to be an awesome shoe for faster, not too long runs on singletrack in wet forests. The more technical the trail the more these shoes shine. The OROCs are my shoes of choice for shorter trail races (up to 2.5 hours) where traction in difficult sections might be more important than comfort. In the US the Inov-8 OROC 280 is available at Zappos (in colorway shown below) and Amazon. Outside of the US it is available at Sportsshoes.com and Wiggle. Runner, researcher, shoe geek and german expat living in Gothenburg, Sweden. Interesting. I have a brand new pair of these at home waiting for their first trail run. This review confirms my concerns with bad ice grip. Compared to my other orienteering shoes these Orocs have fewer and smaller studs. Seems they also can absorb more water, resulting in higher wet weight. I baught these as my primary trail running shoes. If it gets icy I can use my other orienteering shoes. For runners with narrow, low volume feet, I can recommend the Ice Bug SPIRIT4 olx or VJ Bold. Both excellent orienteering and trail running shoes. Jonas, I agree that the Icebug Spirit and the VJ Bold are two very good alternatives to the OROC. I actually tested both in my search for a winter shoe. The Spirit would definitely have been the best solution in regards to traction (while maintaining run ability on roads). Alas I had the same problem as with ever other Icebug shoe I tested: I couldn’t get it to fit tight in the mid foot without risking my toes. 🙁 The VJ Bolt fitted nicely and also seemed to be a very good solution traction-wise but the OROC seemed to be a little bit more versatile due to a little bit more comfort, cushioning and better suitability for road sections. I am pretty sure that the Bolt is awesome for Orieenteering. I had the same issue with the thin toe box. The for is really nice just that toe box is thin. I think it caused some tendonitis on top of my footy. Then I switched shoes to a wider box and the pain eased in a few days. Eric, the narrow toe box might have very well been the cause, though to be fair I have to say that there are narrower toe boxes than those of the OROC. 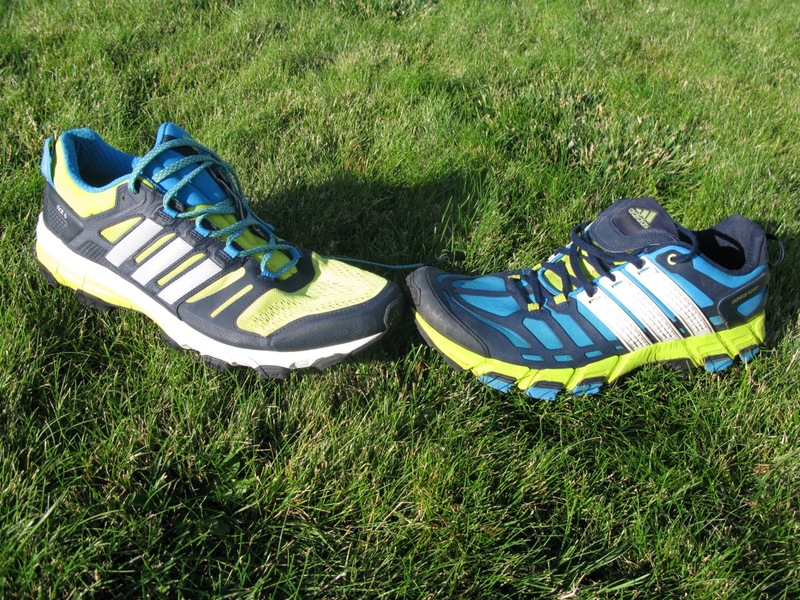 But not all feet are created equal and as mentioned in the review, I wish Inov8 would switch to a wider toe box for this shoe. Maybe there is hope with the recent introduction of a wider-last X-Talon.